How innovative is the Australian construction industry? There are a lot of conflicting reports so there needs to be a definitive answer and construction professionals will be rewarded for 2 minutes of their time. Progressclaim.com in partnership with the Australian Construction Industry Forum (ACIF), invites all business leaders and workers across the Australian construction industry to add their view to an in-depth investigation into the sector’s adoption of new and innovative ways of working, with the launch of a new productivity and innovation research project. There are so many great construction innovation and technology reports coming from the USA, Europe and Asia, it’s now time to get some real info on the Australian construction industry. We’re aiming for the first time to provide a clear picture of our industry’s innovation credentials and ultimately provide construction professionals, in form of the final report, the tools to benchmark where they or their organisation sit. 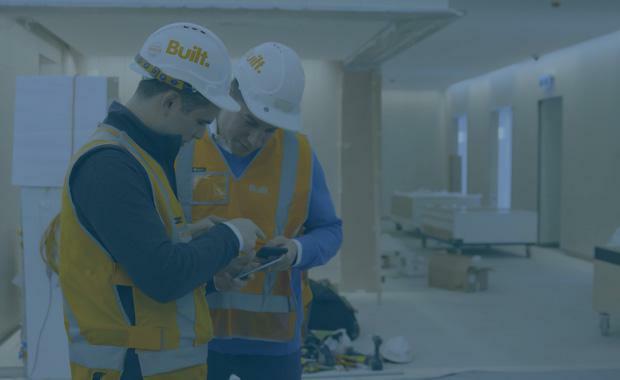 As building designs become increasingly sophisticated and compliance requirements more complex, there’s no lack of innovative technologies being adopted across the Australian building sector, from Building Information Modelling (BIM) and project management platforms, to drones, robotics and high-tech safety equipment. Yet we are still getting conflicting reports stating we are either innovation adopters or the worlds technological laggards. Perhaps the reason for the industry’s inconclusive results is due to the lack of credible information about industry innovation and investment in technology?Whatever the reason, the time has come to get some definitive answers as to where Australia ranks and provide a clear and accurate snap shot of our current innovation and productivity position. Through a simple two-minute online survey, all Australian construction professionals have the opportunity to provide this realistic snapshot into the current state of play in the industry. From the survey results Progressclaim.com and ACIF will produce a beautiful, highly visual report with lots of infographics and data visualisations. It’ll be the first of its kind in Australia. So, what’s in it for you? We know construction professionals are busy people so we’re only asking for two minutes of your time and we’re prepared to reward you for it. Every survey respondent will have exclusive early access to the research report and analysis showing how their industry colleagues are investing in new technologies and what processes are being adopted to increase productivity. Whether you are a builder, a developer, a subcontractor or a consultant, we need your valued knowledge for this first of its kind research project. It will only take 2 minutes and will greatly help our understanding of the Aussie construction industry’s innovation credentials. Help us help you and the industry! The Urban Developer is proud to partner with Progressclaim.com to deliver this article to you. In doing so, we can continue to publish our free daily news, information, insights and opinion to you, our valued readers.